We planted these raspberry bushes in our yard pre-children. I'd walk out with my harvest basket in the morning and gather them all up, adding a handful to my oatmeal before sitting on the back steps enjoying the slow morning. I'd walk out with my harvest basket in the morning and gather them all up, adding a handful to my oatmeal before sitting on the back steps enjoying the slow morning. 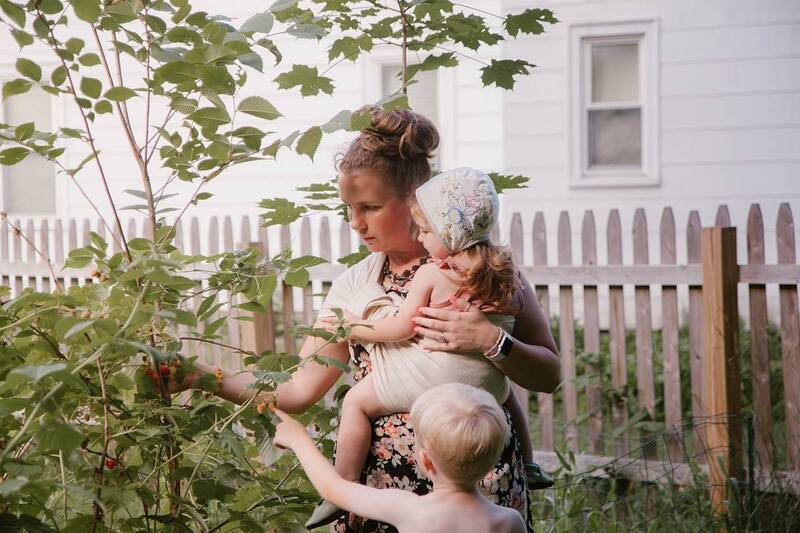 Then came the years I was pregnant with babies, first envisioning one child gathering those raspberries with me, then two. Now as I gaze at this photo, by far one of my most favorite ever taken with my babies, I can barely remember what life felt like before they came into my arms. Was my morning eating that bowl of oatmeal with my raspberries a lonely one? I know it wasn't because I know that life needed to happen before kids, things needed to be experienced and learned, I needed to be who I was before taking on the huge job of being a mother. But in moments like these, reflecting back on my life before I was married, before children, before my heart grew, I tend to feel bad for people who don't want to have children. To each their own, I know that...but I can't help but selfishly feel a bit sad for them knowing they will never know this kind of love, the love you have for your own child. There is no feeling in this world quite like it and if I could bottle it up and sell it, I'd be a millionaire.